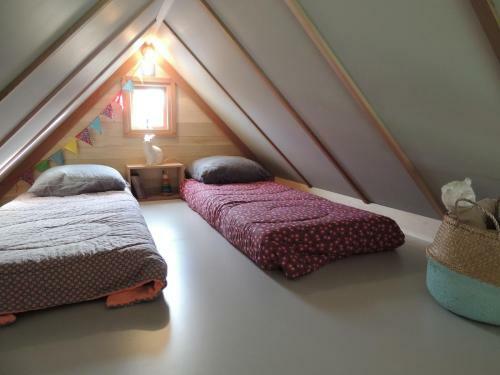 Feel like a child again in our really cute cabins! 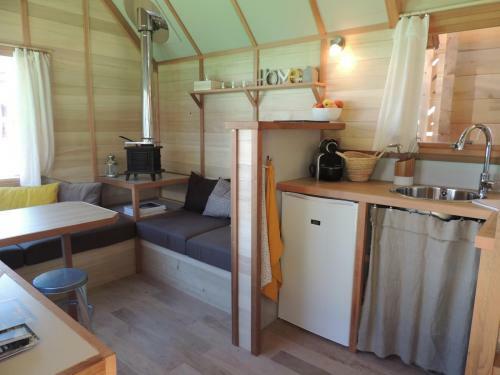 Fully eco-designed, the cabins are moreover 100% French and local: they are indeed built on the other side of the bridge of the île de Ré, in L’Houmeau in a small workshop. 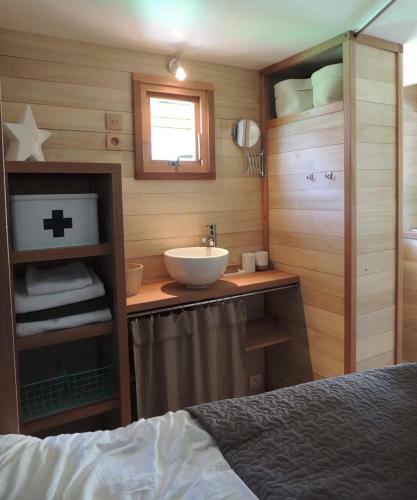 The wood that is used comes from the Marais Poitevin for the pine and from Dordogne for the oak and it is totally untreated: goodbye toxic fumes, hello wellness! 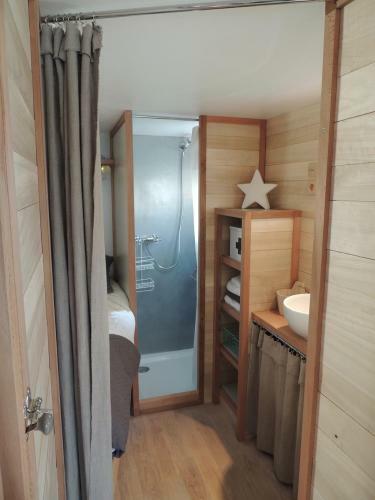 Our cabins are ideal for a family of 2 adults and 2 young children. They display a neat and natural interior decoration. a shower and a separate toilet. included is the parking of one vehicle. Accommodation capacity: 4 persons maximum (2 adults and 2 children). 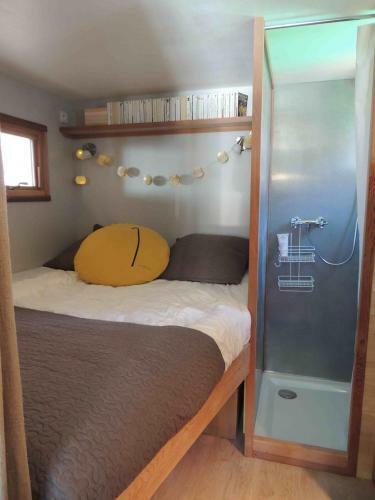 The cabin has to be cleaned up before your departure because cleaning is not included in the price of the rental. Pets are tolerated only during the low season (Avril, May, June and September). In July and August, rentals are from Saturday to Saturday. From April to June and during the month of September, you can choose your day of arrival, subject to availability. Arrivals are from 04:00 pm – departures are between 08:00 and 10:00 am. An inventory of fixtures is carried out on the day you leave. We remind you that cleaning is not included in the price of your stay. You have to clean up your rental before departure. An inventory of fixtures will be done at that moment. If the state of cleanliness of your rental is not compliant, all or part of your deposit will be kept with a minimum of 75,00€.